Thank You Vince Witkowski for a job well done! The range improvements look great. 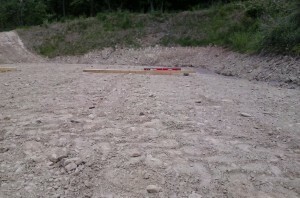 With the new drainage features, the wet and muddy ranges that we have experienced will be a thing of the past. 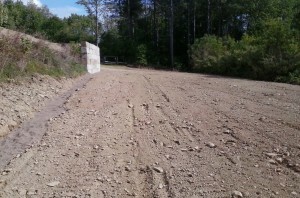 With the completed 50 yard berm we will now be able to set up a 50 yard range to reduce some of the congestion in the popular 100 yard range. Thank you Bruce McGowan, John Fuller and Fuller family and many more volunteers for raising funds via the Friends of the NRA banquet in Norwich NY. This project was made possible by a grant from the NRA Foundation which receives funds from the many banquets. 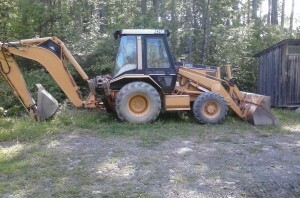 The banquets would not be a success without participation of the good folks who attend the banquets, buy raffle tickets and participate in many games and auctions. 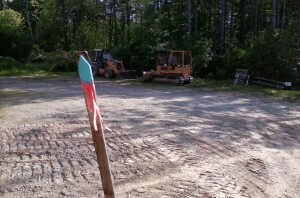 The board with blue paint is there for a reason. It marks the upper end of the 6 inch trunk line for future expansion. 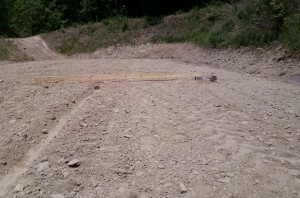 We have future plans to add same drainage to the two upper pistol pits that will connect to this trunk line. 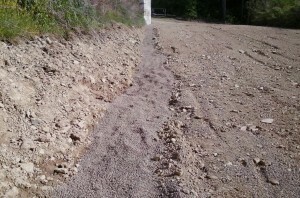 Here are a couple pics of the output of the 6 inch trunk line. 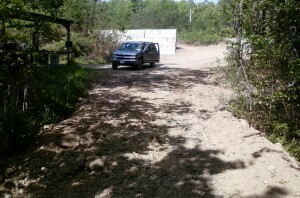 It empties into the woods behind the 100 yard benches. Here are a couple of pics from behind the 100 yard benches, looking up the roadway. 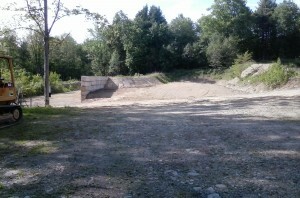 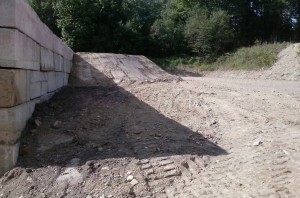 Here is a wide angle view of pit 3, the pistol pit directly across from the parking area. 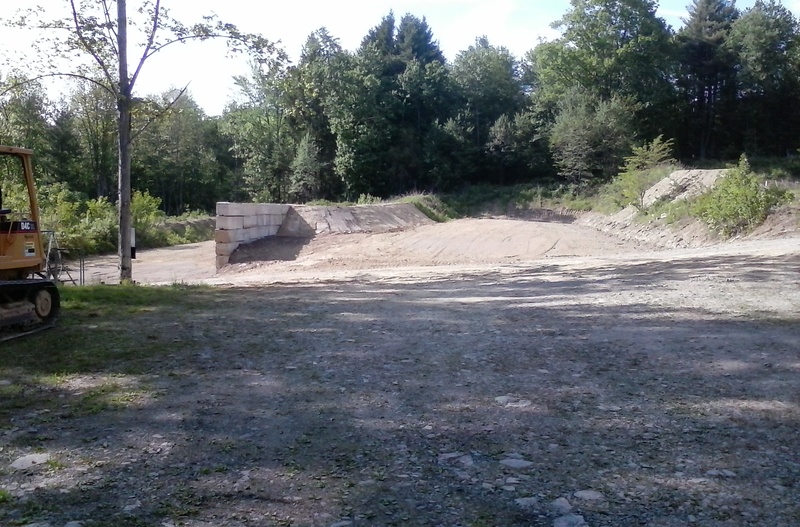 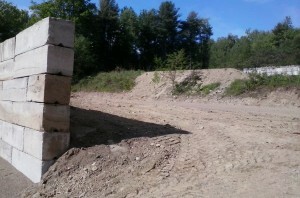 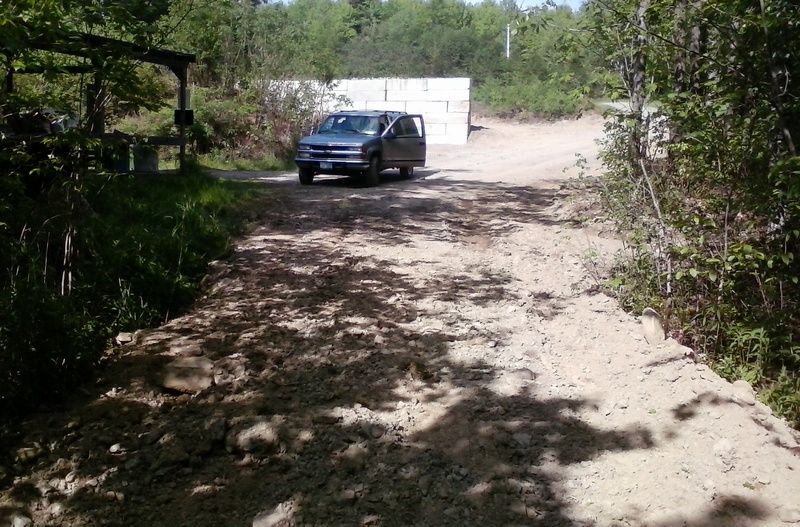 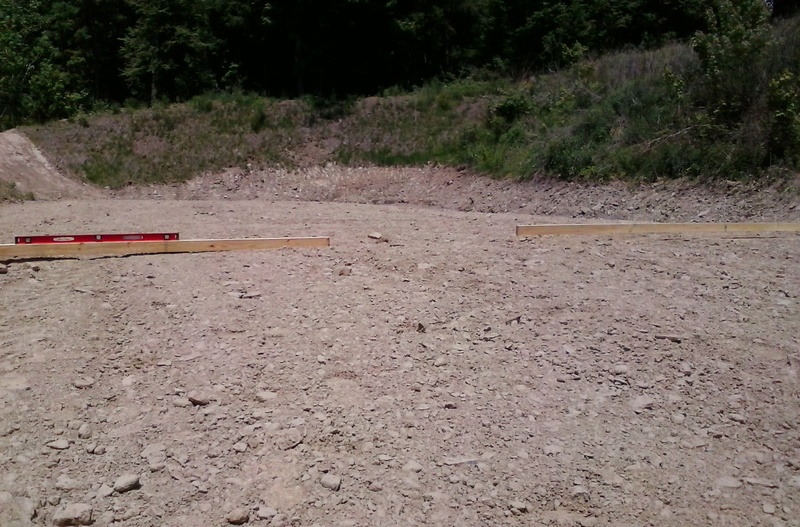 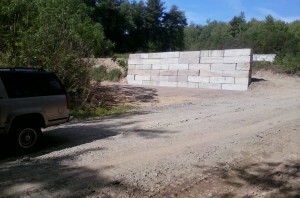 Here is a “before” pic of the 50 yard range (pit 2) and pistol range (pit 3) across from the parking area. 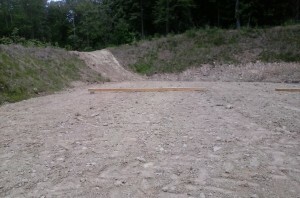 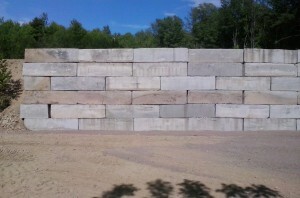 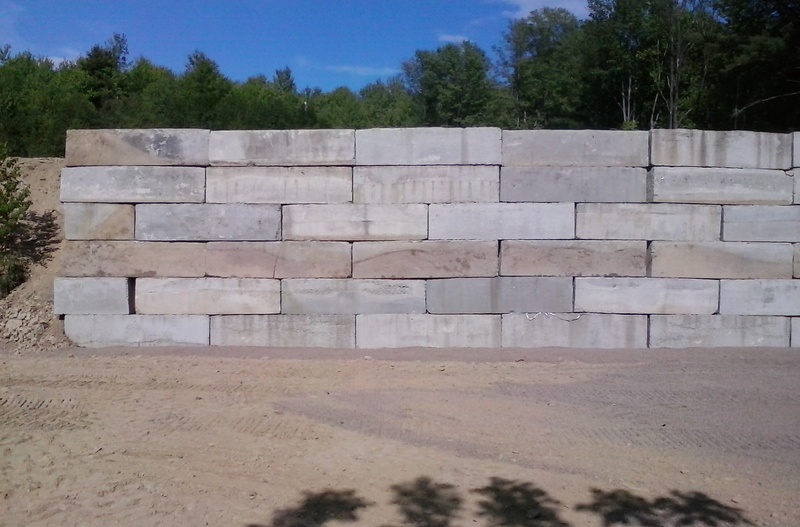 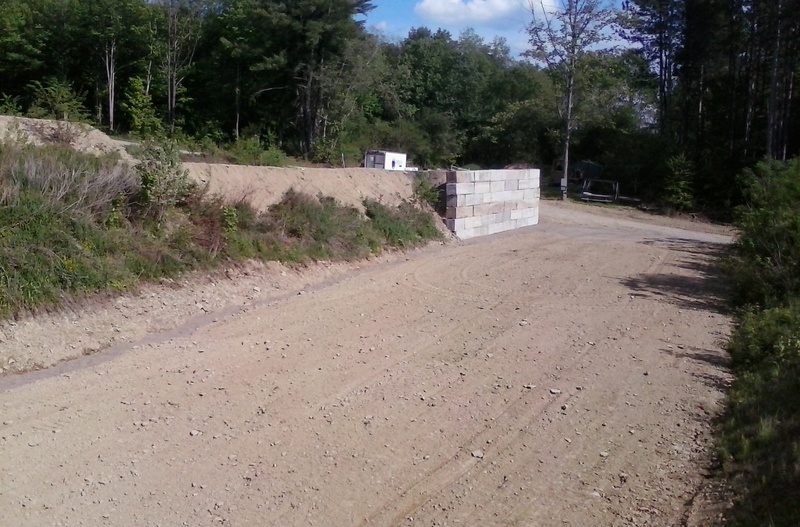 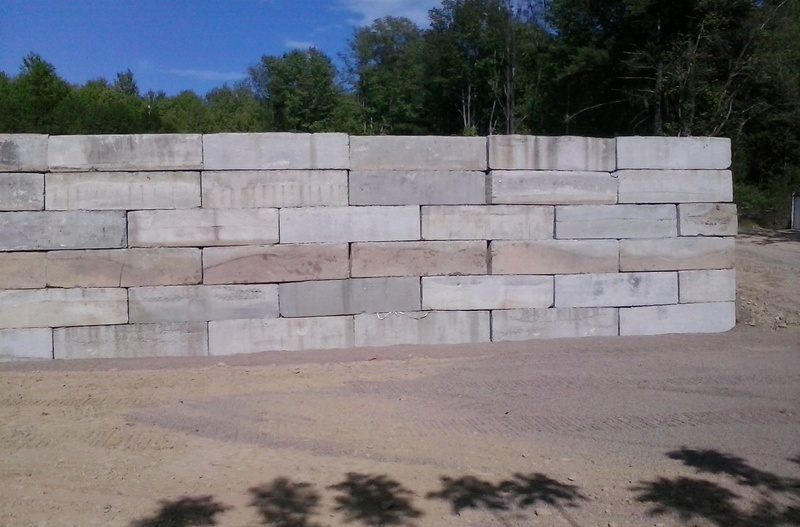 Below are several pics of the reworked and improved 50 yard range. 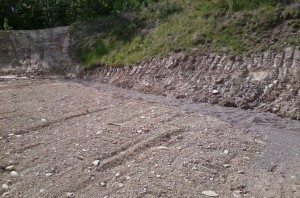 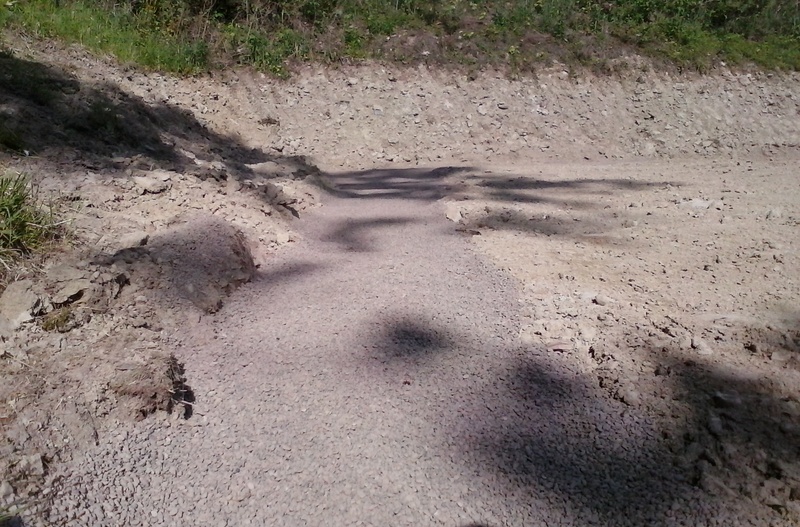 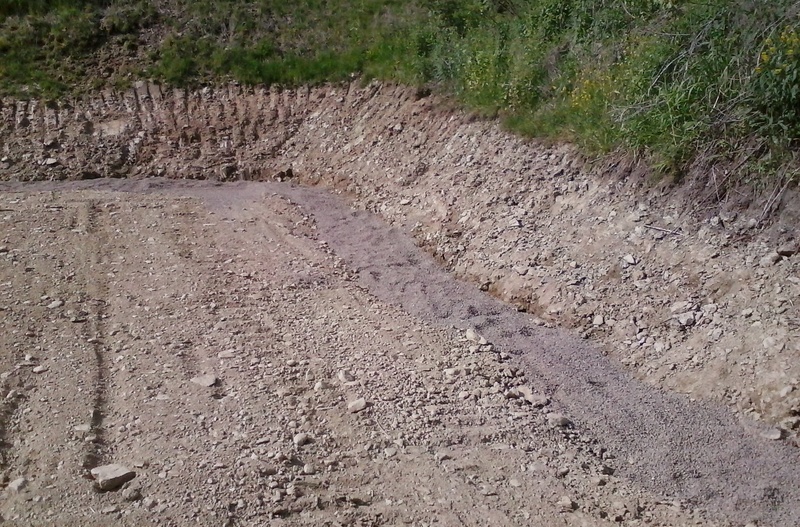 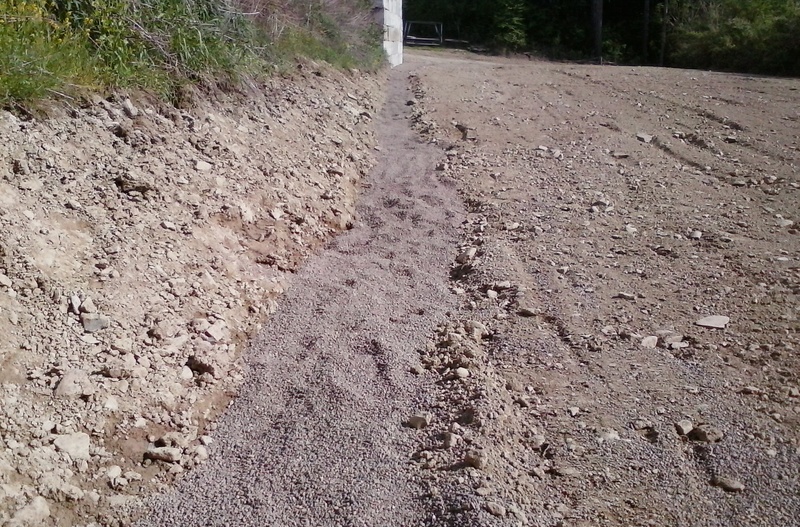 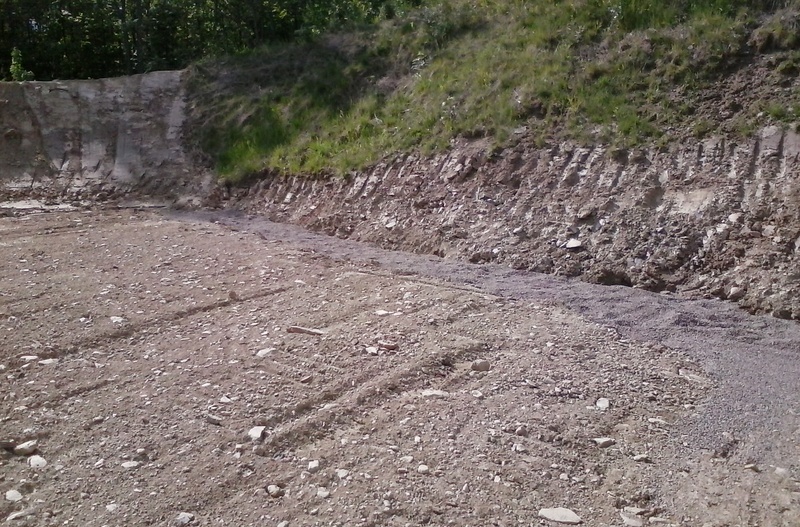 Pics of the ditch filled with pea gravel for drainage. 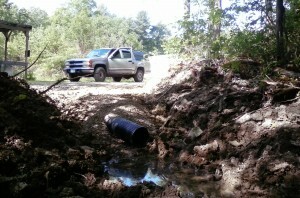 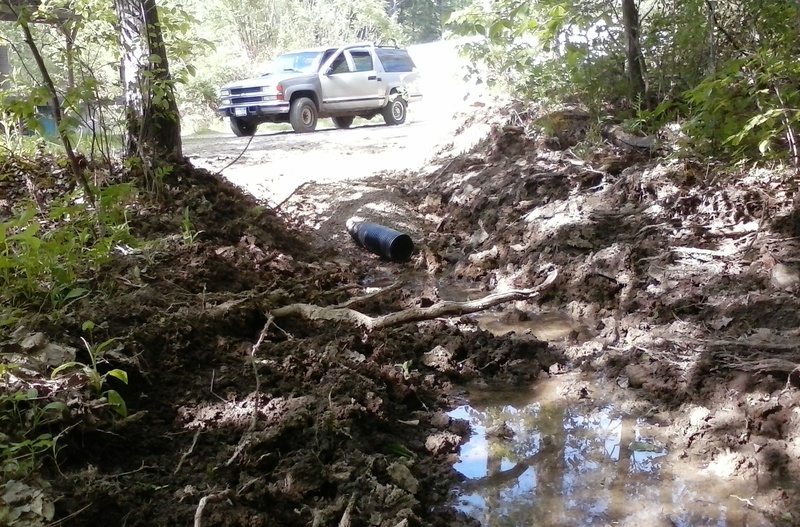 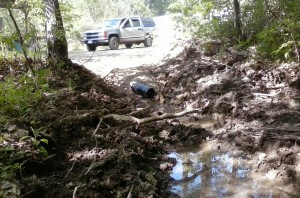 In the bottom of this 2 foot deep and 2 foot wide ditch is a drainage pipe to carry water away. This drainage extends the full 50 yard length on the uphill side (right side when facing the targets). 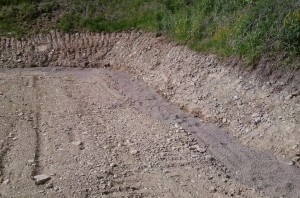 As the ground water seeps out from higher levels, it will be captured and redirected out via this drainage before it has a chance to spill out onto the range. 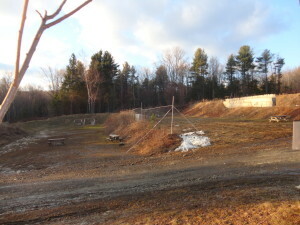 Here are a few pics from the target area looking back up range. 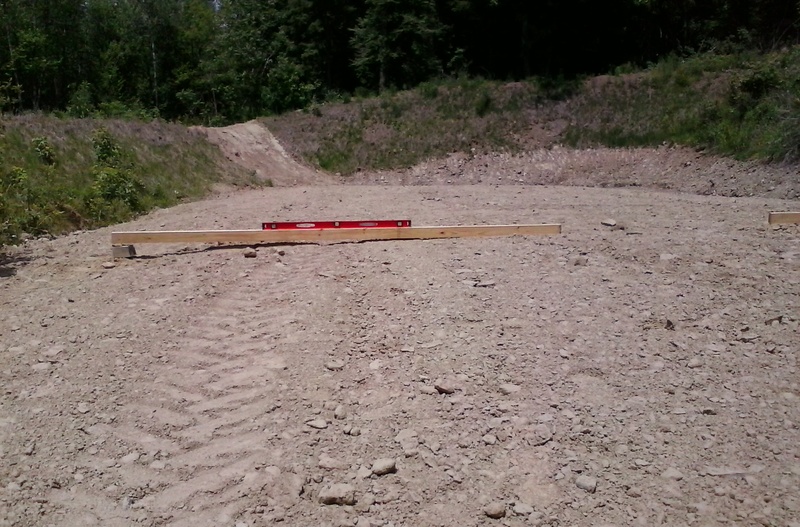 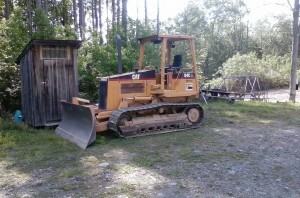 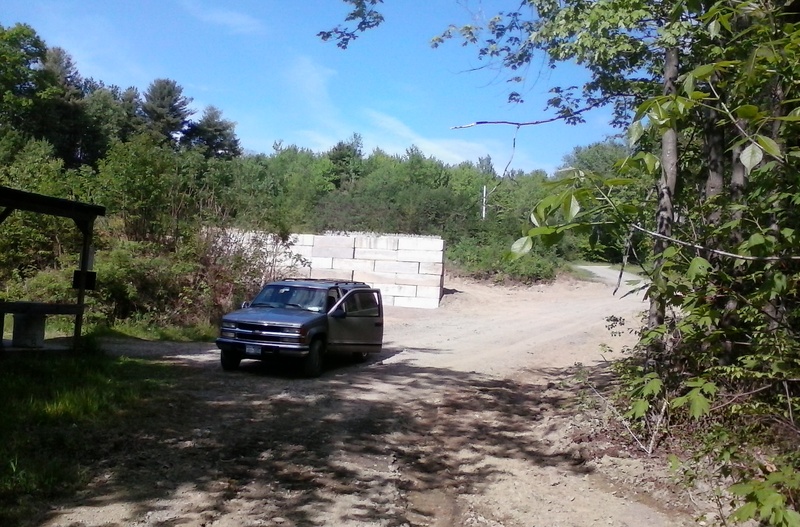 Here are several pics of 2 foot long 2×4 propped up at one of with a 4 inch block and leveled. This is to demonstrate the center crown and pitch to the outside of about 1 inch drop for every 3 feet of run. 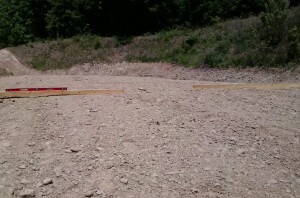 The side pitch was demonstrated at the 11 yard line, the 22 yard line and the 33 yard line.